I have been fortunate to participate in many programs that promote the Rule of Law, quality advocacy and access to justice around the world. These programs have been sponsored by different organizations and in some cases, involved teaching at law schools. While I hope these activities have been of some benefit to the students, lawyers and judges who attended, I know they have been incredibly valuable to me as they have broadened my understanding of many legal systems and cultures around the world and have introduced me to many new and wonderful friends and colleagues. In October 2004, I had the rare privilege of participating in a Conference hosted by the Central Party School of the Communist Party of China. The International Academy of Trial Lawyers’ primary initiative for more than 20 years involved hosting 10-12 lawyers each year from the People’s Republic of China to live with fellows of the Academy for two weeks and experience our justice systems. My wife and I hosted 5 young Chinese lawyers over a decade. Some were officials of the State Council, either in Beijing or in provincial cities. Some worked at the National People’s Congress and some were members of the Law Faculty at the Central Party School. All of them are now members of the extended Matthews Family. At the conference in 2004 I was one of five Fellows of the IATL who presented papers relating to the role of lawyers in a democracy with an independent judiciary. 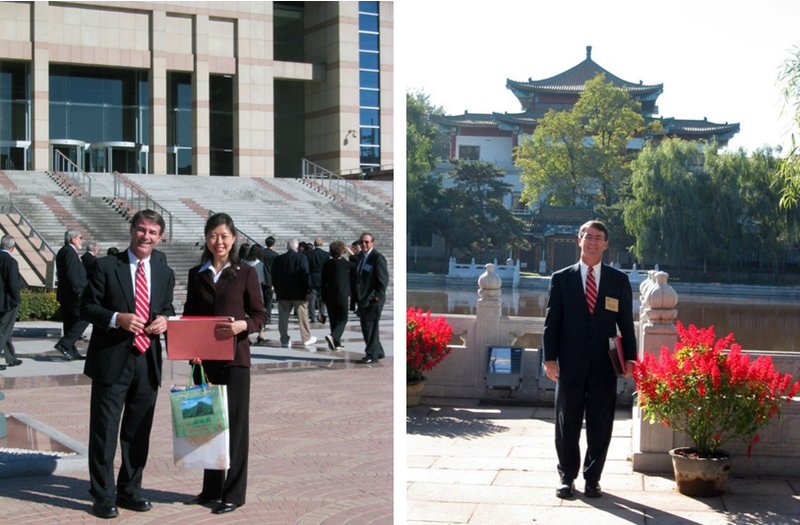 I traveled to the PRC several times between 2000 and 2010 in connection with the IATL’s China Program. The Program became very controversial when the Communist Party leadership began to imprison civil rights advocates in China, but it lasted for more than 20 years, until the Chinese Government terminated it in 2017. In addition to the value of the individual relationships, some of the former delegates are now in positions of importance within the PRC, including a member of the Supreme Peoples Court. We hope that in the long run, the program will have helped advance the rule of law in modest but meaningful ways. In September 2006 I taught a three-week seminar on International Arbitration and the Rule of Law at the National University of Mongolia School of Law. 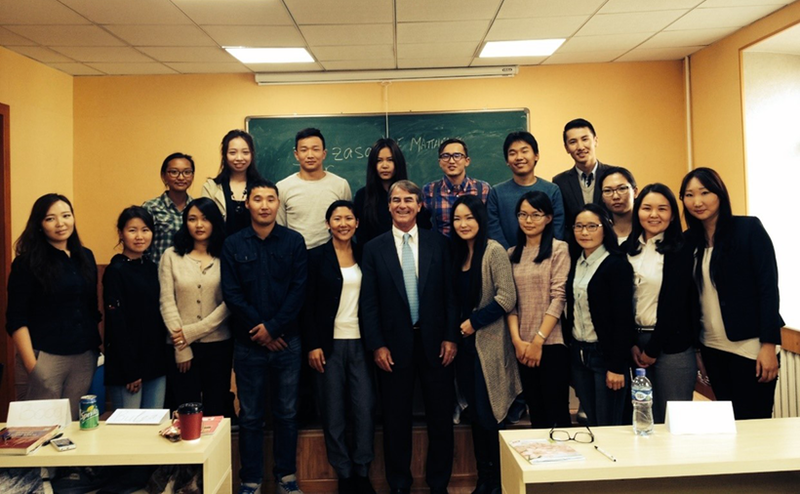 This was part of the Senior Lawyers Program of the Center for International Legal Studies. Dennis Campbell and his son Chris at CILS have since placed dozens of Senior Lawyers from the west in law schools throughout Russia, the CIS countries and Mongolia. As the photos show, I had a class of about 25 students (the ones wearing University of Miami hats were the ones who engaged in the arbitration moot competition the final day of the class). Many years later in October 2014, I returned to UlaanBaatar with a small group of IATL Fellows to conduct mock jury trial exercises with members of the newly created Mongolian Bar Association. While there, I returned to NUM Law School and gave a guest lecture reflecting on the anniversary of Magna Carta and comparisons with the Great Mongol Empire. The students were younger, and I was older, but the experience was déjà vu. In 2006, I was invited by Professor Thomas Wälde who was then at the University of Dundee and a giant in the world of international dispute resolution, to stop in Scotland on my return from Mongolia and speak to a group of his LLM students. In my October 2006 speech, I proposed that international arbitration, both commercial and investment, become more transparent. I proposed that the default rule in the UNCITRAL Rules, which were then undergoing substantial revision, reverse the presumption of confidentiality. Following my speech, I took a vote and did not receive a single vote in favor of my proposals from the LLM students at Dundee that year. In June 2009, Jan Paulsson asked me to substitute for him as a visiting professor to conduct an Advanced Seminar on International Dispute Settlement at the Centre for Energy, Petroleum and Mineral Law and Policy, University of Dundee. It was a one-week seminar and the students were literally from almost every mineral rich country in the world, including a young woman from Mongolia. As usual, I learned more from them than they from me. It was an enjoyable week and I got to play the Old Course at St. Andrews too. In 2013 I was the Dean of the International Academy of Trial Lawyers. It is the obligation of the Dean to address the Fellows of the Academy, the most exclusive organization of trial advocates in the world, on a subject related to the Rule of Law and Advocacy. It is an intimidating experience for all Deans. It was for me also. I attempted to predict the future of trial advocacy in the 21st Century. Some of the most enjoyable relationships that my service as President of the International Academy of Trial Lawyers afforded me have been the barristers from Ireland and Northern Ireland who are also fellows of the Academy and through them, the International Council of Advocates and Barristers (ICAB). In April 2016 I was invited to participate in the International Advocacy Training Conference held in Belfast, Northern Ireland and was later honored to become an Honorary Bencher of the Inn of Court of the Bar of Northern Ireland. In December 2017 I was invited to make a presentation to the Faculty of Advocates in Edinburgh Scotland about the Faculty’s arbitration initiative as well as Trial and Arbitration Advocacy from a US Attorney’s Viewpoint. 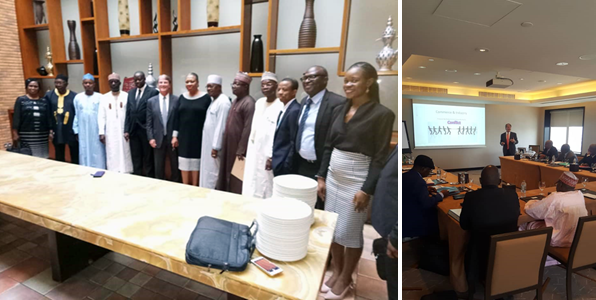 In July 2018 I was invited to conduct training for members of the Nigerian Judiciary on International Commercial Arbitration. The program was sponsored by NCMG International (the Negotiation and Conflict Management Group) and was held in Dubai. The photos herein reflect that presentation. I will continue to take every opportunity to travel, teach and attend programs that promote the rule of law and the improvement of advocacy skills, as part of the effort to increase access to justice around the world.